There are about 600 species of the plants met, mainly, in the Northern hemisphere of Earth (and it is possible to see them and in Australia), are ranked by modern botanical classification as a sort Rubus from the family of Rosaceae. Among them, there are long-term herbs, however in the majority it is prickly ligneous bushes. Their branches happen climbing, stretching or upright. Fruits can be multistone fruit (difficult stone fruit) and are very tasty and nutritious. The sort shares on 15 subsorts, one of which is called in the same way: Rubus. 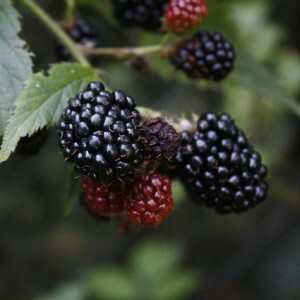 Latin "rubus" in translation into Russian mean "blackberry", but the Russian names the word "Blackberry" contain just several species of the plants carried to this subsort. Blackberry cultivation. Blackberry variety. Blackberry diseases and pests.